Sterling Silver choker adorned with a heart shaped pendant in passion red and a white zirconia stones border for 39,30 Euros. 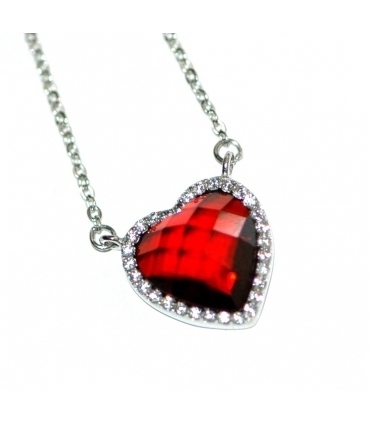 Sterling Silver choker adorned with a heart shaped pendant in passion red and a white zirconia stones border. Heart size: 1.25 cm x 1.2 cm wide. Chain is 38 cm long with an extension chain.